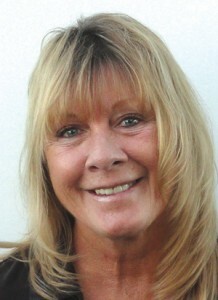 Vicky Gustin Schwantes passed away peacefully Jan. 31, 2019, at her home in Vernal, Utah, after a long and courageous battle with breast cancer. She was born in Tooele, Utah, on July 1, 1955, to Bill and Marva Gustin. She was raised in Grantsville, Utah. She was a member of the Grantsville High School Lariat Drill Team, Grantsville Rodeo Club and the Tooele Bit n’ Spur Rodeo Club, where she was chosen as the Bit n’ Spur Rodeo Queen. Vicky is preceded in death by her parents, and her little sister Jackie Warr. She is survived by her husband, Greg; brothers, Bob (Sue) Gustin, and Glade Gustin; sisters, Karen Cook, Diana (Mitch) Walk, Billie (Keith) Bell; son, Shawn (Jen) Schwantes; daughters, Joey Thomas, Jessica Ragsdale, and Heather (Kurt) Landmon; five grandchildren, Ocia, Tatum, and Jayda Gillette, Garren Schwantes, and Mason Landmon. There will be a celebration of life for Vicky on Feb. 23, 2019, at 11 a.m. at the Blackburn and Sons Vernal Mortuary.